BSI Standards Publication BS EN 1048:2014 Heat exchangers — Air cooled liquid coolers ( dry coolers ) — Test procedures for establishing the performanceBS EN 1048:2014 BRITISH STANDARD National foreword This British Standard is the UK implementation of EN 1048:2014. It supersedes BS EN 1048:1999 which is withdrawn. The UK participation in its preparation was entrusted to Technical Committee RHE/30, Heat exchangers. A list of organizations represented on this committee can be obtained on request to its secretary. This publication does not purport to include all the necessary provisions of a contract. Users are responsible for its correct application. © The British Standards Institution 2014. 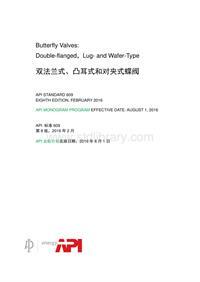 Published by BSI Standards Limited 2014 ISBN 978 0 580 80316 1 ICS 27.060.30; 27.200 Compliance with a British Standard cannot confer immunity from legal obligations. This British Standard was published under the authority of the Standards Policy and Strategy Committee on 31 August 2014. Amendments issued since publication Date Text affectedBS EN 1048:2014EUROPEAN STANDARD NORME EUROPÉENNE EUROPÄISCHE NORM EN 1048 August 2014 ICS 27.060.30; 27.200 Supersedes EN 1048:1998 English Version Heat exchangers - Air cooled liquid coolers ( dry coolers ) - Test procedures for establishing the performance Echangeurs thermiques - Refroidisseurs de liquide à convection forcée ( aéroréfrigérant sec ) - Procédures d essai pour la détermination de la performance Wärmeübertrager - Luftgekühlte Flüssigkeitskühler ( Trockenkühltürme ) - Prüfverfahren zur Leistungsfeststellung This European Standard was approved by CEN on 22 May 2014. CEN members are bound to comply with the CEN/CENELEC Internal Regulations which stipulate the conditions for giving this European Standard the status of a national standard without any alteration. Up-to-date lists and bibliographical references concerning such national standards may be obtained on application to the CEN-CENELEC Management Centre or to any CEN member. This European Standard exists in three official versions (English, French, German). A version in any other language made by translation under the responsibility of a CEN member into its own language and notified to the CEN-CENELEC Management Centre has the same status as the official versions. CEN members are the national standards bodies of Austria, Belgium, Bulgaria, Croatia, Cyprus, Czech Republic, Denmark, Estonia, Finland, Former Yugoslav Republic of Macedonia, France, Germany, Greece, Hungary, Iceland, Ireland, Italy, Latvia, Lithuania, Luxembourg, Malta, Netherlands, Norway, Poland, Portugal, Romania, Slovakia, Slovenia, Spain, Sweden, Switzerland, Turkey and United Kingdom. EUROPEAN COMMITTEE FOR STANDARDIZATION COMITÉ EUROPÉEN DE NORMALISATION EUROPÄISCHES KOMITEE FÜR NORMUNG CEN-CENELEC Management Centre: Avenue Marnix 17, B-1000 Brussels © 2014 CEN All rights of exploitation in any form and by any means reserved worldwide for CEN national Members. Ref. No. EN 1048:2014 EBS EN 1048:2014 EN 1048:2014 (E) 2 Contents Page Foreword 3 Introduction .4 1 Scope 5 2 Normative references 5 3 Terms and definitions .5 4 Symbols 6 4.1 Letters .7 4.2 Superscripts .7 5 Standard capacity 8 5.1 Basis for standard capacity date .8 5.2 Standard conditions for dry cooler capacity 8 5.3 Operating conditions for the nominal air flow 8 6 Manufacturer s data .8 7 Measurements 9 7.1 Uncertainty of measurement 9 7.2 Measurement criteria 10 8 Testing methods and equipment 11 8.1 General . 11 8.2 Test principals . 11 8.3 Testing equipment 11 9 Test procedure 12 9.1 Physical arrangement 12 9.2 Capacity measurements 12 9.3 Measurement of air flow rate and fan capacity 13 10 Capacity calculations . 13 11 Conversion to standard conditions 14 11.1 Capacity . 14 11.2 Liquid side pressure drop 14 11.3 Nominal air flow 15 11.4 Nominal fan power consumption 15 12 Test report . 16 Annex A (normative) Flow meter method . 17 Bibliography . 18 BS EN 1048:2014 EN 1048:2014 (E) 3 Foreword This document (EN 1048:2014) has been prepared by Technical Committee CEN/TC 110 “Heat exchangers”, the secretariat of which is held by DIN. This European Standard shall be given the status of a national standard, either by publication of an identical text or by endorsement, at the latest by February 2015, and conflicting national standards shall be withdrawn at the latest by February 2015. Attention is drawn to the possibility that some of the elements of this document may be the subject of patent rights. CEN [and/or CENELEC] shall not be held responsible for identifying any or all such patent rights. This document supersedes EN 1048:1998. The main changes with respect to the previous edition are listed below: a) Clause 3 “Terms and definitions” is modified; b) The revised standard takes into account the current state of the art. According to the CEN-CENELEC Internal Regulations, the national standards organizations of the following countries are bound to implement this European Standard: Austria, Belgium, Bulgaria, Croatia, Cyprus, Czech Republic, Denmark, Estonia, Finland, Former Yugoslav Republic of Macedonia, France, Germany, Greece, Hungary, Iceland, Ireland, Italy, Latvia, Lithuania, Luxembourg, Malta, Netherlands, Norway, Poland, Portugal, Romania, Slovakia, Slovenia, Spain, Sweden, Switzerland, Turkey and the United Kingdom. BS EN 1048:2014 EN 1048:2014 (E) 4 Introduction This European Standard is one of a series of European Standards dedicated to heat exchangers. BS EN 1048:2014 EN 1048:2014 (E) 5 1 Scope This European Standard applies to remote forced convection air cooled liquid coolers, within which no change in the liquid phase occurs. This European Standard does not apply to liquid coolers, designed primarily for installation within the machinery compartment of packaged products. Its purpose is to establish uniform methods to test and ascertain the following: — Product identification; — Capacity; — Air flow rate; — Liquid side pressure drop; — Energy requirements. This European Standard does not cover technical safety aspects. 2 Normative references The following documents, in whole or in part, are normatively referenced in this document and are indispensable for its application. For dated references, only the edition cited applies. For undated references, the latest edition of the referenced document (including any amendments) applies. EN ISO/IEC 17025, General requirements for the competence of testing and calibration laboratories (ISO/IEC 17025) 3 Terms and definitions For the purposes of this document, the following terms and definitions apply: 3.1 forced convection air cooled liquid cooler: “dry cooler” self contained system, that cools a single phase liquid by rejecting sensible heat via a heat exchanger to air that is mechanically circulated by integral fan(s) Note 1 to entry: In the following, “forced convection air cooled liquid cooler” is referred to as “dry cooler”. 3.2 liquid working fluid circulated through the cooling system, which remains in liquid phase during the absorption and rejection of heat during the test Note 1 to entry: The liquid can be any fluid which can be defined and that has known physical properties. 3.3 capacity cooling effect on the liquid passing though the dry cooler Note 1 to entry: It is defined as the product of the liquid mass flow rate and the difference between the enthalpies at the inlet and outlet connections of the dry cooler. BS EN 1048:2014 EN 1048:2014 (E) 6 3.4 temperatures Note 1 to entry: All temperatures are average values ascertained over the measuring period. 3.4.1 air inlet temperature average dry bulb temperature of the air at the inlet of the dry cooler, taking into consideration the local air velocities 3.4.2 liquid inlet temperature average temperature of the liquid at the inlet connection of the dry cooler, taking into consideration the local liquid velocities 3.4.3 liquid outlet temperature average temperature of the liquid at the outlet connection of the dry cooler, taking into consideration the local liquid velocities 3.5 temperature differences 3.5.1 inlet temperature difference difference between the liquid inlet temperature and air inlet temperature of the dry cooler 3.5.2 liquid temperature difference difference between the liquid inlet and liquid outlet temperatures of the dry cooler 3.6 liquid pressure 3.6.1 liquid inlet pressure static pressure of the liquid at the inlet connection of the dry cooler 3.6.2 liquid outlet pressure average static pressure of the liquid at the outlet connection of the dry cooler 3.6.3 liquid pressure difference difference between the liquid inlet pressure and the liquid outlet pressure 3.7 rotational speed of the fans average rotational speed of all fans 3.8 heat transfer surface (air side) whole external surface of the coil which is exposed to the air flow passing through the dry cooler 4 Symbols For the purposes of this document the following apply: BS EN 1048:2014 EN 1048:2014 (E) 7 4.1 Letters Table 1 — Letters cp ASpecific heat capacity of the air kJ/(kg K) cp LSpecific heat capacity of the liquid, at the mean temperature within the dry cooler kJ/(kg K) n 1Rotational speed of the fans, measured during the capacity test min −1n 2Rotational speed of the fans, measured during the air volume flow test min −1P Capacity kW P fanElectrical power of the fan(s) kW p L1Liquid inlet pressure bar p L2Liquid outlet pressure bar p atmAtmospheric pressure hPa Δp LLiquid pressure difference bar q mLMass flow rate of the liquid kg/s q vAVolumetric flow rate of the air m 3 /s q vLVolumetric flow rate of the liquid m 3 /s A ρ Density of the air kg/m 3L ρ Density of the liquid at temperature t L3kg/m 3t A1Air inlet temperature °C t L1Liquid inlet temperature °C t L2Liquid outlet temperature °C t L3Liquid temperature at flow meter °C Δt 1Inlet temperature difference K Δt LLiquid temperature difference K τ Test duration s 4.2 Superscripts ) / ( b a refers to the test sequence, ) (a above and ) (b below the standard conditions. ) (st refers to standard conditions. BS EN 1048:2014 EN 1048:2014 (E) 8 5 Standard capacity 5.1 Basis for standard capacity date 5.1.1 The capacity of the dry cooler is dependent on a) Inlet and liquid temperature difference; b) Mass flow of air and liquid; c) Type of liquid and its temperature; d) Mounting of unit. The complex relationship that exists between these items and the capacity, means that it is not possible, with sufficient accuracy, to generalize this relationship over widely varying operating condition. 5.1.2 As dry coolers are usually designed to meet specific sets of operating conditions, this standard specifies a) An acceptable test method which can be applied to any prescribed set of operating conditions; b) A standard capacity operating condition, which can be used for comparison purposes. 5.2 Standard conditions for dry cooler capacity Standard capacity shall be based on tests performed on a clean dry cooler under the following operating conditions: Liquid type Water ) ( 1 st A t 25 °C ) ( 1 st t ∆ 15 K ) (st L t ∆ 5 K () st atm p 1013,25 h Pa The nominal electrical voltage, frequency and phase shall be as specified by the manufacturer. 5.3 Operating conditions for the nominal air flow The nominal air volume air flow rate refers to an air temperature of + 20 °C and an ambient pressure of 1013,25 hPa. NOTE The air volume flow is not influenced by the temperature or the atmospheric pressure if the fan speed is constant. 6 Manufacturer s data To identify the dry cooler and allow its traceability, the manufacturer or supplier shall supply the test house with the following minimum information for every dry cooler: a) manufacturer s identification; BS EN 1048:2014 EN 1048:2014 (E) 9 b) model designation of unit; c) model designation of fan; d) rating of the fan motor(s) according to EN 60034-1; e) standard capacity for the standard conditions in the range of application, stating the liquid used; f) nominal air flow; g) nominal fan power; h) nominal voltage and frequency; i) total heat transfer surface (air side); j) fin pitch and thickness; k) tube outside diameter and internal enhancement; l) tube pattern; m) circuiting arrangement; n) internal volume including headers; o) installation instructions; p) maximum permissible operating pressure PS; q) liquid pressure drop. 7 Measurements 7.1 Uncertainty of measurement The permissible uncertainty for various parameters is given in Table 2. BS EN 1048:2014 EN 1048:2014 (E) 10 Table 2 — Uncertainty of measurement Measured quantity Unit Uncertainty of measurement Temperatures — Air and liquid — Liquid temperature difference °C K ± 0,2 K ± 0,1 K Pressures — Atmospheric — Liquid, differential pressure kPa kPa ± 5 hPa ± 1 % of the reading or ± 0,02 bar, the higher value applies Liquid flow rate m 3 /s ± 1 % Electrical quantities (fans) — Electrical power input W ± 1 % or at least 1 W — Current A ± 0,5 % — Voltage V ± 0,5 % — Frequency Hz ± 0,5 % Number of revolutions min −1± 1 % 7.2 Measurement criteria 7.2.1 Temperature measuring pints, liquid side a) Where the temperatures are measured by sensors immersed in the connecting pipes, it shall be ensured temperature stratification and flow patterns do not influence the accuracy of the measurements; b) Where the temperatures are measured on the outside of the connecting pipes, they shall be measured at two opposite pints of the same cross section and, if the pipe is horizontal, there shall be one point above and one below. The connecting pipes shall be insulated from the dry cooler for a distance of at least 10 times the outside diameter beyond the temperature measuring pints. Good thermal contact between the sensor and the pipe at the measuring pint shall be ensured. a) is the preferred method. The liquid temperatures shall be measured as close as possible to the dry cooler connections and in any case within 15 times the outside diameter of the connecting pipe. 7.2.2 The measuring points, air side The air temperature shall be measured in the centre of equal sections of the heat exchanger face area. These sections shall be no larger than 0,2 m 2and be square if possible. There shall be a minimum of four sections. Additional sensors shall be placed along the edges of the inlet area. Temperature sensing elements shall be shielded against thermal radiation. The entering air shall not be subjected to significant temperature stratification. During the test, temperatures measured shall not vary by more than ± 0,5 K from the mean of all measurements. BS EN 1048:2014 EN 1048:2014 (E) 11 7.2.3 Pressure measuring points, liquid side The pressure measuring points shall be located in the middle of a straight part of the connecting pipe of constant diameter, (equal to the dry coolers connections) having a length of not less than 10 diameters ensuring that there is no restriction involved. They shall be placed between the temperature measuring points and the connections of the dry cooler. 7.2.